Joint Base Lewis-McChord (JBLM) is the Number 1 requested installation, and the JBLM Relocation Readiness Program (RRP) is a comprehensive program designed to assist Service members and Families with transfers and relocations throughout the tour cycle. Services and programs include workshops, counseling and support, pre-move planning, moving, settling into a new community, and more. You can reach the RRP at +1(253)967-3633 (Lewis Main) or +1(253)982-2695 (McChord Field). Map to Newcomers Orientation at American Lake Conf. Ctr. Offer a variety of programs and services to address the needs of growing and active children. The two childcare centers offer programs and services for children 6 weeks to 5 years old. There is also a Before and After School program for school-age children. The Youth Center offers Boys & Girls club and 4H activities, as well as a year-round sports program. Call +1(253)967-7195 for answers to questions about on- and off-base schools for grades K through 12. Lewis-McChord Communities provides on-base housing services. The JBLM Housing Office assists Families with off-base housing. Information, referral and educational programs, and services to families who have been identified, entered into the EFMP program and are requesting services. Army Family Readiness Groups (FRGs) and Air Force Key Spouses are command-sponsored programs to help build strong Families and bridge the gap between Families and units. Both organizations are made up of volunteers and serve as a point for information and support to Families in their units. This DoD-sponsored website provides free information to active duty military personnel, spouses and their family members. Questions about childbirth, parenting, education, financial matters, PCS moves, taxes, medical concerns, citizenship and more can be address by the experts at Military Onesource. To make lodging reservations, or for information in general about the lodging facility, click the link. Phone numbers, emergency numbers, frequently used numbers, country codes, DSN civilian prefixes, maps & more. Local Tours with Northwest Adventure Center are a great way to see the Pacific Northwest. Leisure Travel Services will assist you for event tickets and sightseeing. Local base activities: Get outside and enjoy the great outdoors—head out shopping—check out the local farmers’ markets & more! Find out what’s available on base & just outside the gates! Welcome CDs are provided for Service members and Families. They can only be mailed to installations that are located more than 50 miles away. To request a CD, call +1(253)967-3633. Household goods have not arrived? Come on in for a variety of available items. Lending Closet hours are 7:30-3:30 p.m. For more information, call +1(253)967-3633 (Lewis Main) or +1(253)982-2695 (McChord Field). A quarterly orienation designed to help foreign-born Service members & spouses understand American customs & culture. International spouses share their cultural foods by providing a quarterly cooking demo to the Multicultural forum. Call +1(253)967-3633 for more information. The Hearts Apart/Waiting Families Support Group is an outreach program for active duty military Families with Service members on an unaccompanied tour, extended temporary duty or field training exercise. For more information, call +1(253)967-3633. Relocation Readiness offers Sponsorship training for Service members sponsoring a newcomer. 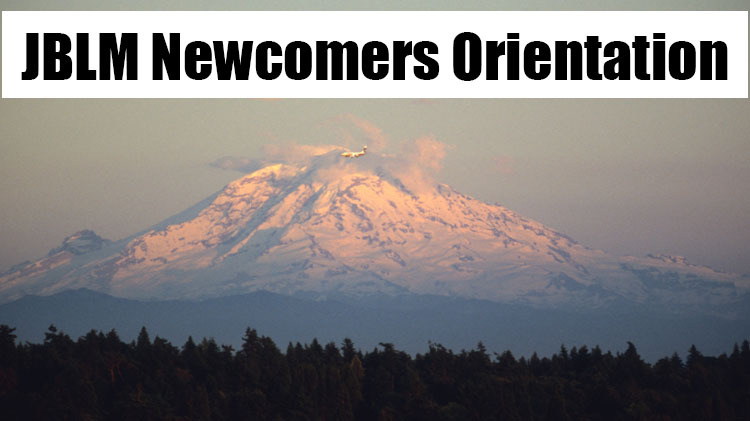 For more information contact Relocation Readiness at +1(253)967-3633 (Lewis Main) or +1(253)982-2695 (McChord Field). Learn what JBLM has to offer!